“For the first time, Volkswagen experts have succeeded in simulating industrially relevant molecules using a quantum computer. This is especially important for the development of high-performance electric vehicle batteries. The experts have successfully simulated molecules such as lithium-hydrogen and carbon chains. Now they are working on more complex chemical compounds. In the long term, they want to simulate the chemical structure of a complete electric vehicle battery on a quantum computer. Their objective is to develop a “tailor-made battery”, a configurable chemical blueprint that is ready for production. 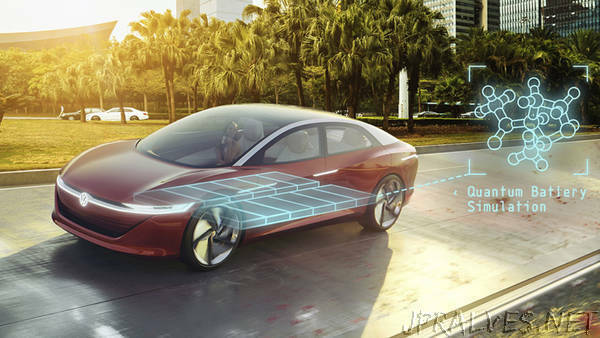 Volkswagen is presenting its research work connected with quantum computing at the CEBIT technology show (Hanover, June 12-15).